Premium New Zealand vanilla company, Heilala, will now be stocking its products in Coles and Woolworths supermarkets across Australia. 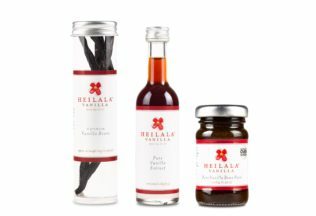 After more than 12 months of negotiations, 839 Woolworths stores will stock Heilala’s 50ml vanilla extract and two-piece vanilla beans. Coles will sell Heilala’s 65g vanilla paste. Until now, Heilala Vanilla has only been available through gourmet and specialist food stores in Australia. Heilala Vanilla co-founder and CEO, Jennifer Boggiss, says the new partnerships are a significant step for the company which was established on the island of Vava’u in Tonga over a decade ago. “Eleven years ago we harvested our first crop of vanilla beans after falling in love with the people of Vava’u and the place,” Boggiss said. Heilala Vanilla has been available in New Zealand supermarkets for five years, with sales increasing every year. “We are committed to building the Heilala Vanilla brand in Australia and this represents one of the many opportunities we are pursuing in the market,” Boggiss said. The recommended retail prices are AUD $11.90 for the 50ml vanilla extract, AUD $11.90 for the two-piece vanilla beans and AUD $12.00 for the 65g vanilla paste.